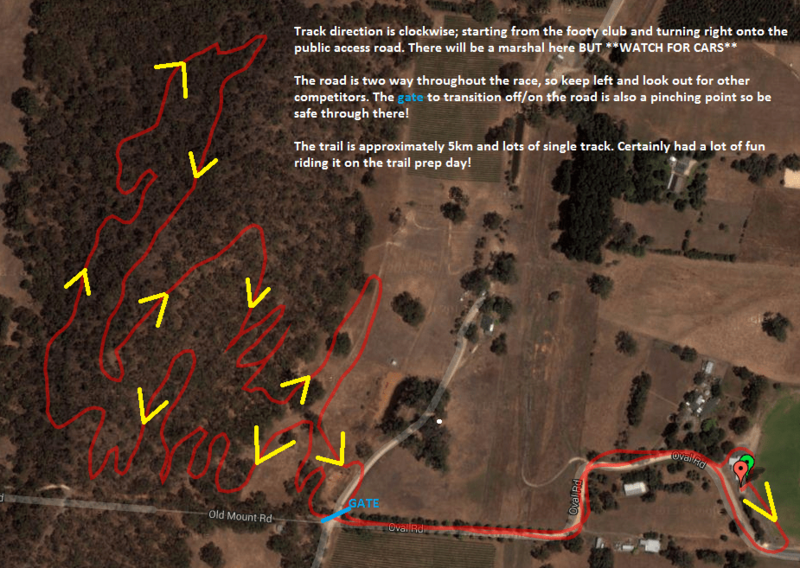 Remember to register for the Giant XCO Series Round 2 at Mt Torrens Township, Sunday 15th September 2013. As per usual, there is no on-the-day registration, this event is strictly online registration only. Registrations close the day prior at 10am. The track will only be available for practise on the day of the race after signing in, and on the day prior between 10am and midday. Gold coin donation for practising the day prior. Being private property, it is illegal to be on the track outside of these times. The layout of the course is shown below, and you can also download a kml file. As a reminder, please be sure to resubscribe to AMBCs new email subscription system (as of 20th August), as the previous system for delivering emails will be discontinued. Register now for the Giant XCO Series Round 2 at Mt Torrens Township, Sunday 15th September 2013. Please be sure to resubscribe to AMBCs new email subscription system (as of 20th August), as the old system will soon be switched. Thanks to Tim Klein who has taken over a hundred photos of the race and shared on Photobucket. He’s also uploaded a bunch of videos on Youtube. Also thanks to P’an-tau Jiricek-Scott who’s posted photos on Facebook too. Please tag yourselves away! For photos from other races, check out the AMBC Photos page.